This open letter was signed by Katie Sutton, Danielle Tiplady, Dan Langley, Jon Gardner (and a wide range of other RCN members). 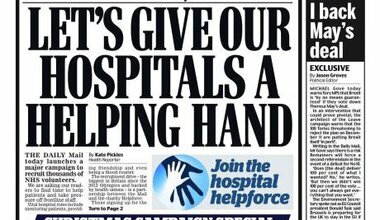 On Saturday the Daily Mail called for "an army of volunteers" to "transform" the NHS. Royal College of Nursing members have written to Dame Prof. Donna Kinnair, the acting head of the RCN, in response to their involvement in the "Helpforce" campaign.